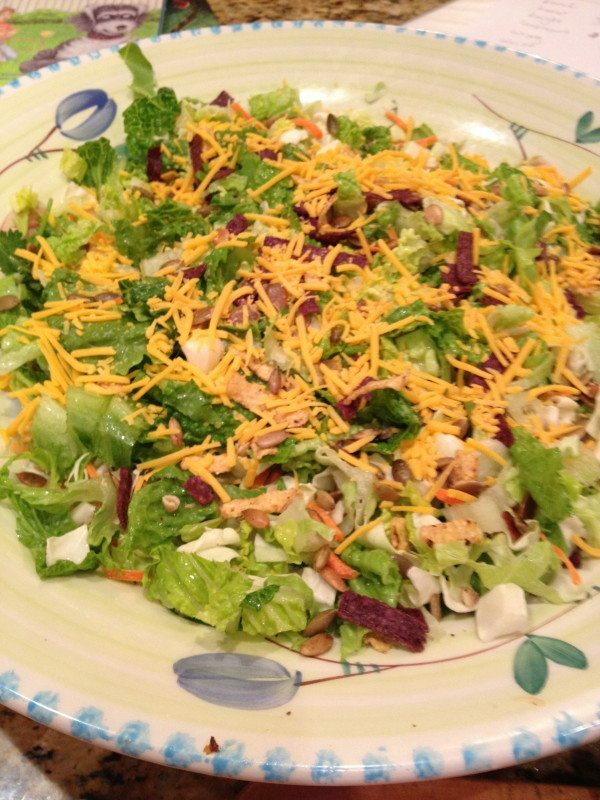 Doesn’t this chopped salad look amazing? 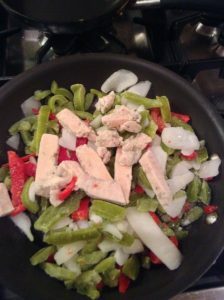 I want to share with your a few tricks I have for getting dinner on the table and doing it semi homemade. Not all of your ingredients have to come from scratch and during this hectic holiday season who knows what the kids are going to get to eat. Maybe pie and cookies as I get ready for holiday entertaining. 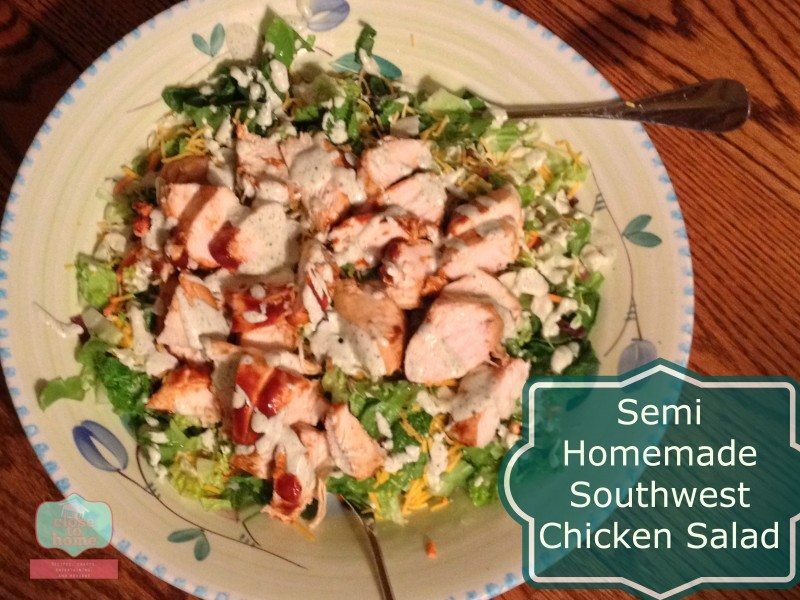 I first want to show you how a few items at Kroger helped me make this Semi Homemade Southwest Chicken Salad in no time. This recipe was inspired by a few items I noticed at our Kroger store. 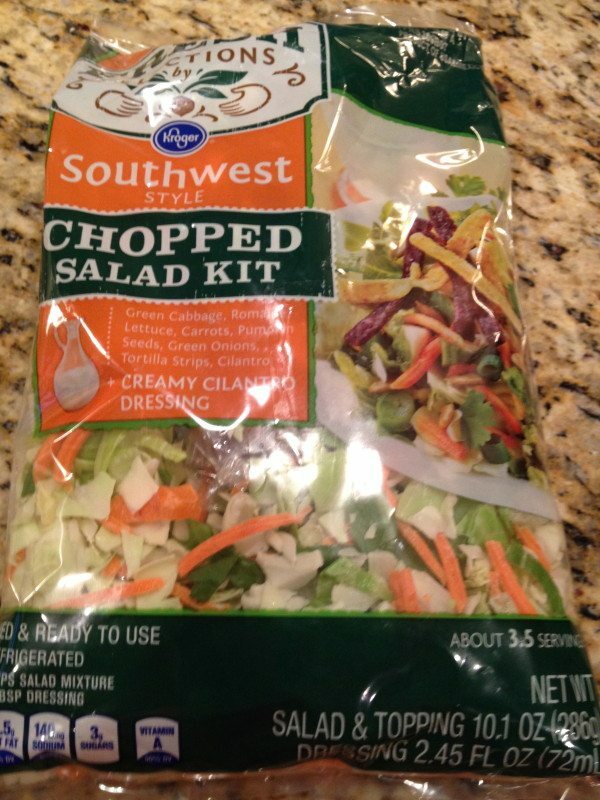 First I purchased the Fresh Salad Kit in Southwest Style. Love how it comes with all the fixings. I then baked some chicken breasts that I had defrosted from my ZAYCON Foods chicken order. After about 30 minutes on 350 degrees I spread some Stubbs BBQ sauce on top and baked another 10 minutes or until the chicken juices run clear. 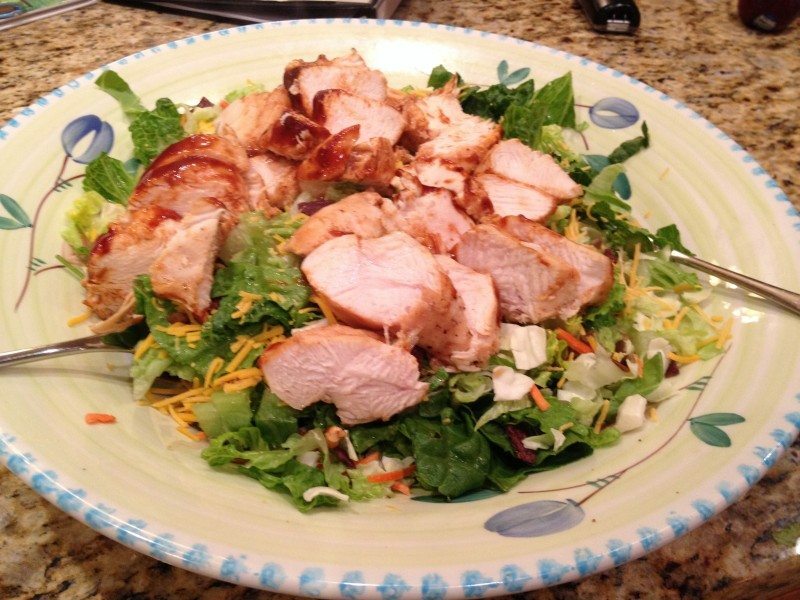 Allow the chicken to rest and then slice onto your salad. Since this was only 3.5 servings I chopped up some more Romaine lettuce I had in my fridge. It went well with the chopped salad package. I also added some shredded cheddar cheese. For the dressing I tasted the packet that came in the kit and it had a little kick to it so I added some ranch dressing and drizzled it over our salad and served extra on the side. Meal complete with a little frozen Kroger Garlic Bread. The bag says serves 3. I must admit there was very little chicken, I took a picture of it here. Maybe we are used to having more meat in our homemade fajitas but you can’t say they skimped out on the veggies. It served my 3 kids and I they were looking for more. This post was made possible from BzzAgent and Kroger Foods. All the opinions expressed are 100% my own.